The new 80mm Thermal Rolls are ideal for price sensitive end users that are looking for the best value for money. They are packed in Nexa branded boxes and are shrink wrapped internally. 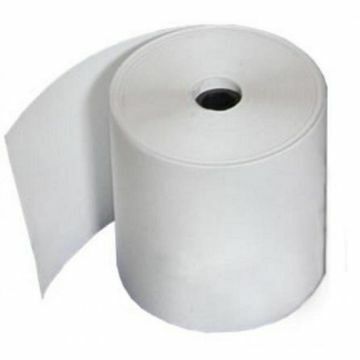 The Nexa rolls use quality thermal paper with approximately 80m of paper per roll. All of our rolls are made in Australia using quality imported paper. Most have shrink wrapped inners and are packed in plain boxes. See below for freight free amounts for your area. The 80x80mm, roll size is the industry standard for Thermal receipt printers. These rolls are suited to, Epson receipt printers, Citizen receipt printers, samsung receipt printers, Digipos receipt printers, plus many more brands.